A few weeks ago I finally found a set of bookshelves to go on either side of my entertainment console. You may have heard me mention once or twice that hubby and I used a homemade staining technique on this piece, so I never thought I’d be able to find bookshelves with a finish that was a perfect match. Instead, I focused my efforts on finding something complimentary. Well, one day, while at World Market, I happened upon the Campaign bookshelf. Closer inspection of the finish proved a near perfect match to my console. Although not expensive, the price of the bookshelves was out of my budget, so I started scouring Craigslist, and one day, I hit the jackpot! A two hour car ride later, and these babies were in their new home, ready to be styled. While the logical thing would be to fill the shelves up with all the books I’ve had sitting in boxes in the garage for the last two years, but (as the Mister soon found out), bookshelves aren’t just for books anymore. 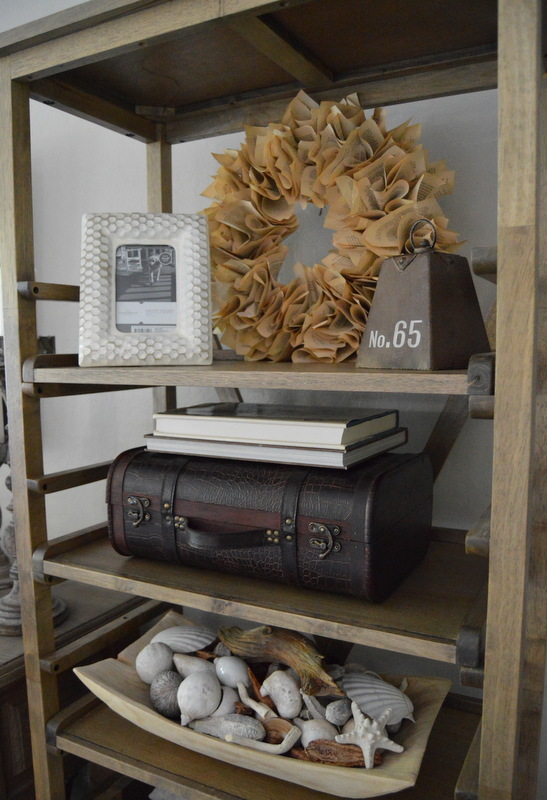 In fact, mine have more décor items on them than actual books, and I’m okay with that. 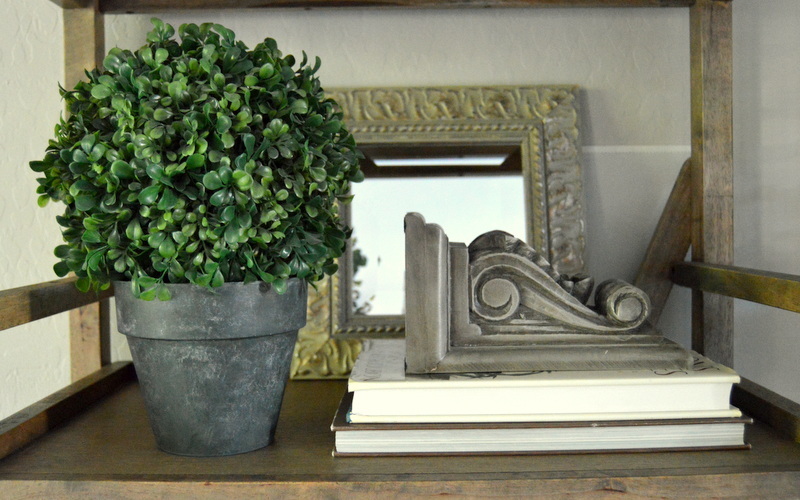 Shop your house for items you can use for styling. Grab some books, but also look for items with different shapes, sizes, colors and textures. 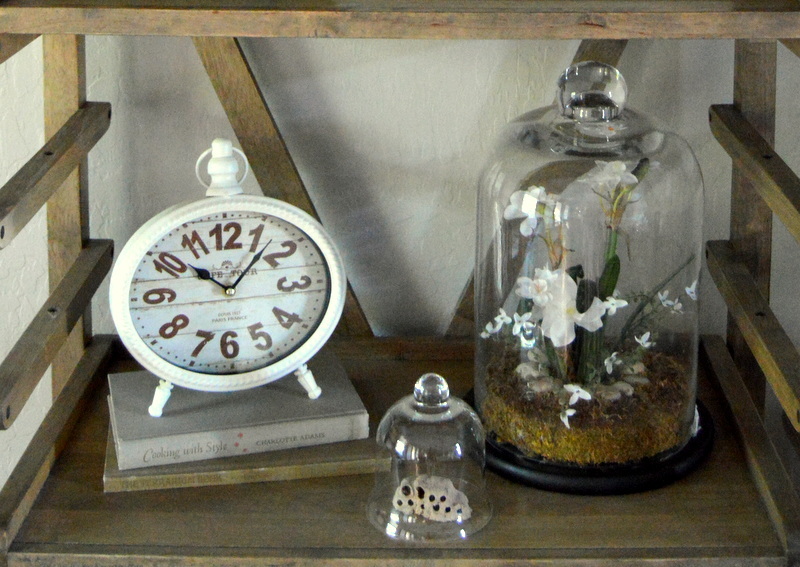 Some great choices would be small decorative boxes and baskets, plants and topiaries, shells and coral, clocks, floral arrangements, figurines, bottles and jars, picture frames, personal collections, artwork, small mirrors, vases, candles and candlesticks, trays, and of course, bookends. Group “like” books together. Books of a similar size or color, grouped together, look pleasing to the eye. 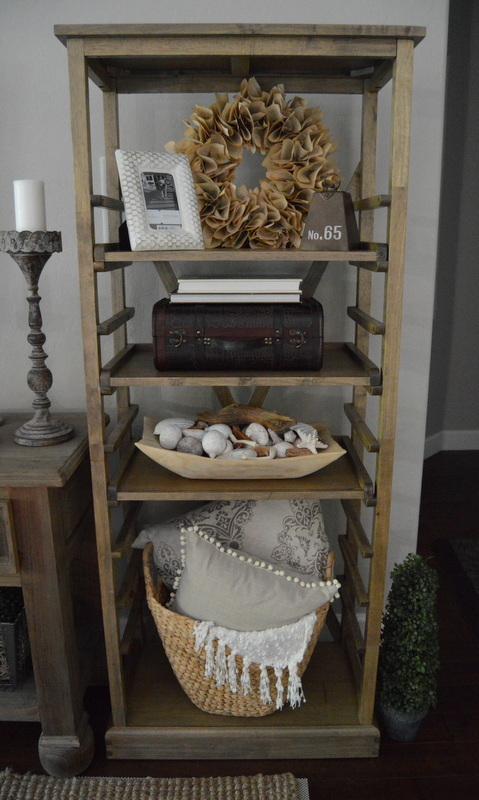 Turn books on their sides, stack them, then top each stack with a decorative item such as a framed picture, a piece of coral, or a figurine. 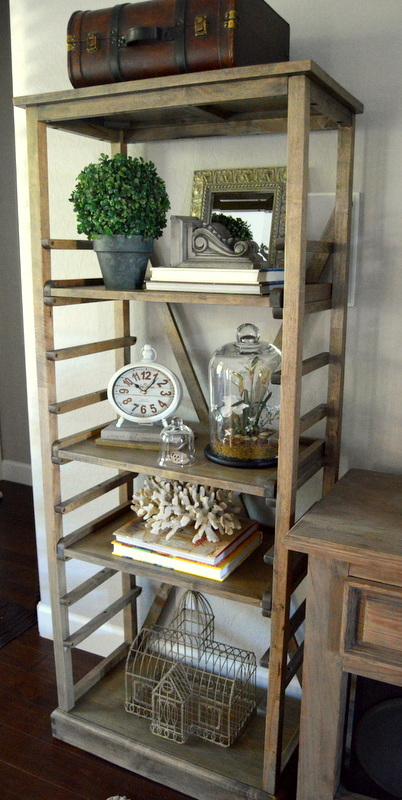 Try placing books horizontally on one shelf, vertically on the next. Another fun thing to do is to turn the book spines toward the back of the bookshelf, or cover your books with pretty paper. This is a great way to disguise less than attractive book covers. Use objects of different size and shape. This not only adds visual interest, it also helps to create the feeling that items were collected over time. Group items together in clusters of three or five (an odd amount looks more appealing). Layer in texture, color, and sparkle. Artwork propped against the back of the bookshelf draws the eye to the back and brings color and interest to the space. A mirror leaned against the back also works well, and adds a bit of light and sparkle. 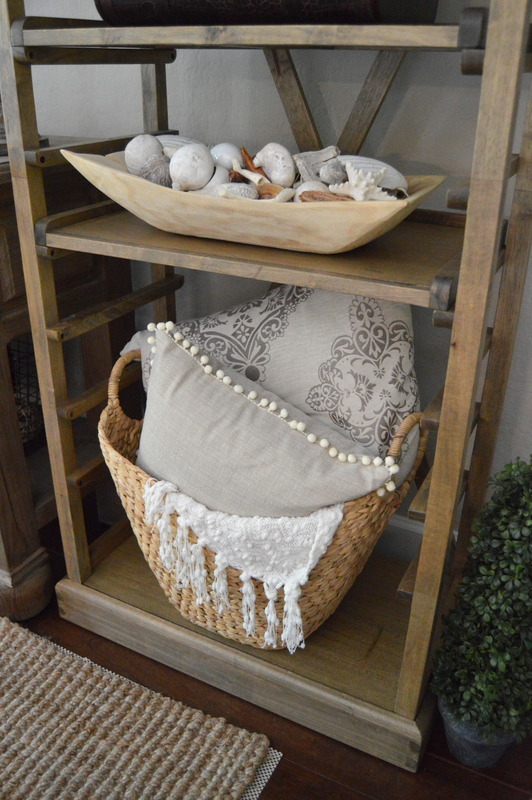 Add texture with natural items like coral, metal, wicker, or plants. If you have room on your bookshelf, one of my favorite decorating items is a wicker basket filled with blankets or pillows. Tell your story. Favorite collections, framed photographs, items found on a walk with your kiddos, grandpa’s old pocket watch, you get the picture. These items tell a story about you and your family, and everyone loves a good story, right? Edit. Sometimes less really is more. Stand back and take a good look at your work. Does it feel cluttered? 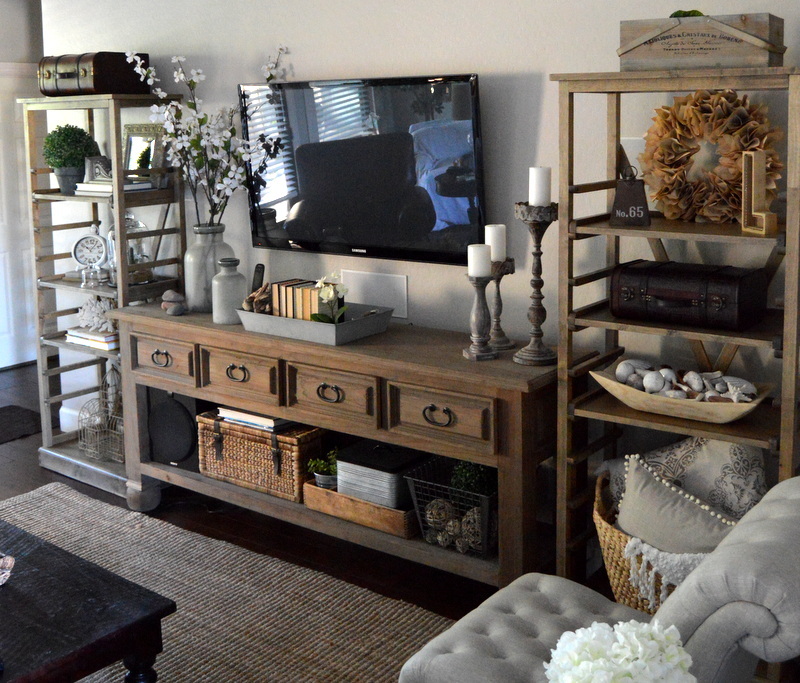 Does each item have enough space around it to make a statement on it’s own? 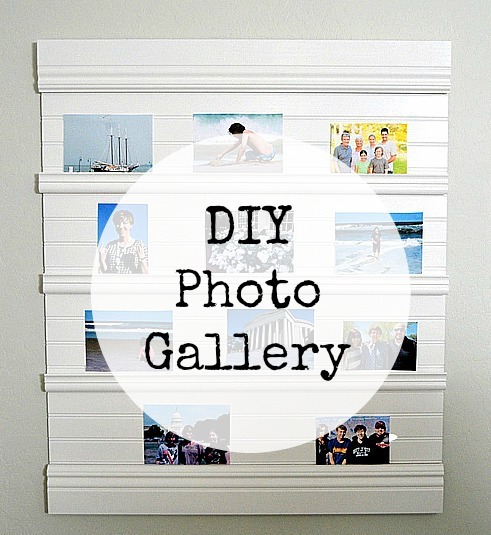 Does your eye travel effortlessly from one shelf to the next? If so, your work is done! If not, remove a few things, then re-assess. Keep re- styling until it looks visually appealing and reflects your own personal style and taste. 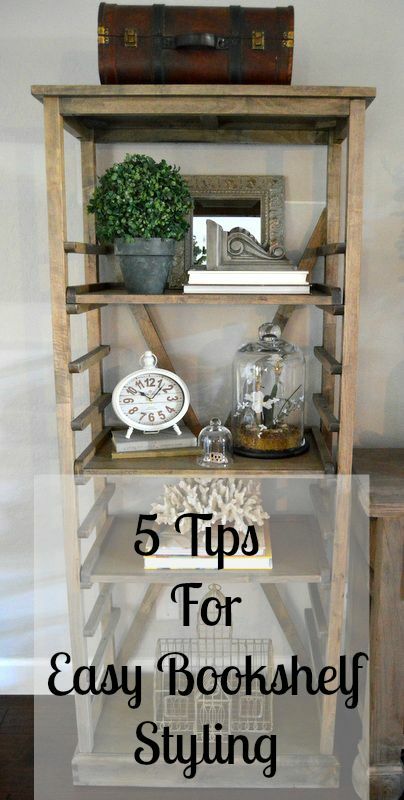 Bookshelf styling doesn’t have to be complicated or intimidating; try using these 5 easy tips to make it simple and fun! I hope you found this post useful, it really is quite easy, once you have a few guidelines to follow. 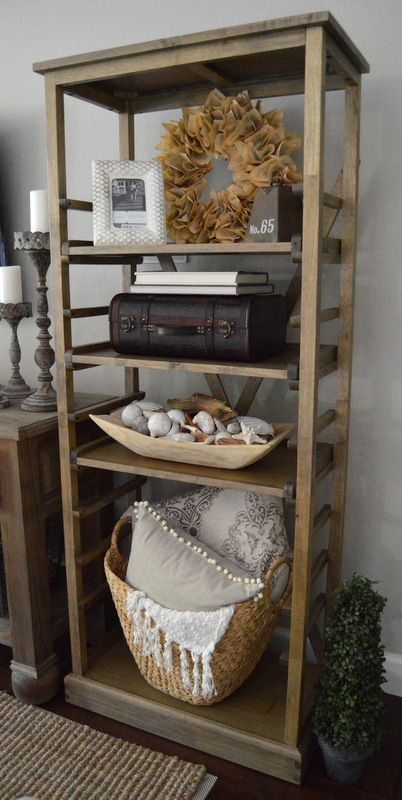 Have you styled any bookshelves lately? What are some of your go-to tips? 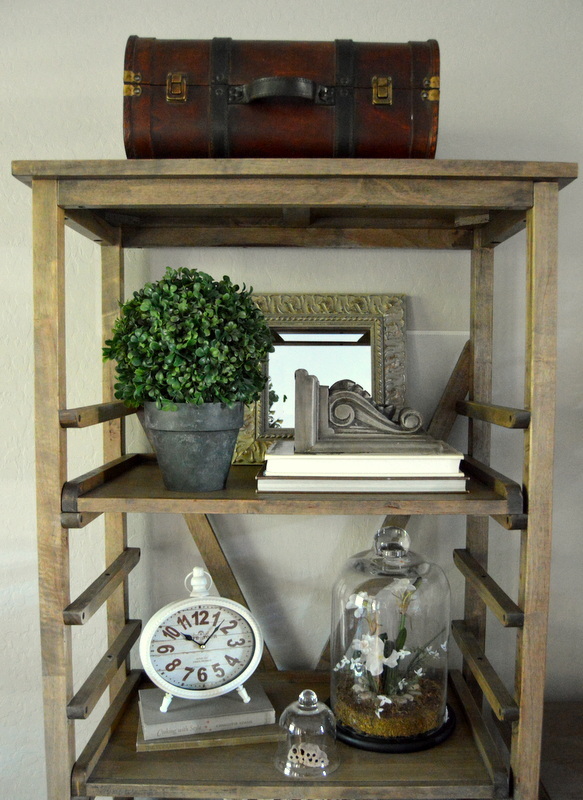 I love the shelf style itself, but the styling is soooo cute ! I love all the accessories ! Thank you! The shelves were definitely a lucky find! So glad you stopped by today! oh what a find!!! Those are gorgeous AMY!!!! Thank you! I’m having so much fun styling them! 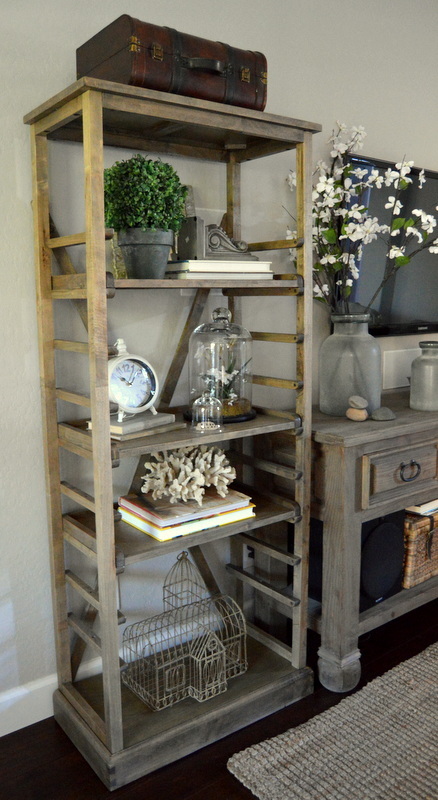 Amy Lee, I love the shelves and your styling is beautiful! Don’t you just love finding something second hand for a great price? Your room looks beautiful! Thank you so much! Yes, I love finding the perfect second-hand find! Ha, what a match! It fits perfectly. Love your creativity, Amy! Thanks for linking up with Thursday Favorite Things! See you next week!